I was planning for an entry level 32 inch LCD TV to replace the 29 inch LG CRT TV in my living room. I was not a brand conscious person. I was comfortable with all reputed brand’s except moserbaer, Videocon, godrej, sansui etc. LG and Samsung were best ideas. I asked my cousin to bring a 32 inch Samsung LCD TV from Dubai. It costs 1450 dirhams there. Works out to less than Rs 20000 .He agreed to bring one in November 2010. I wanted to exchange my old semiautomatic Videocon washing machine with a fully automatic one during the onam promotions in august 2010.So I visited a discount shop ten kilometers near to my village. The name of the shop was ATTINKARA ELECTRONICS, Pandalam. I selected an LG Fully Automatic Washing machine but the piece there was sold out. They promised to deliver as soon as stock arrives the next day. I just enquired about LCD TVs and the salesman introduced me to Panasonic Viera LCD TV. It was not loaded with lot of features. I saw a demo. I liked the TV and bought it and canceled the Samsung.Honestly I am new to LCD TV. So I may not be able to rate it with respect to other tvs in the market. But watching DVDs on Panasonic Viera is Fun. I am guessing i can view HD video by connecting my sony vaio which plays out bluray discs to the tv as a projector.I am having Standard Definition DTH only and i don't have a Bluray disc player. I can connect the TV to my PC like I connect an external projector to it. 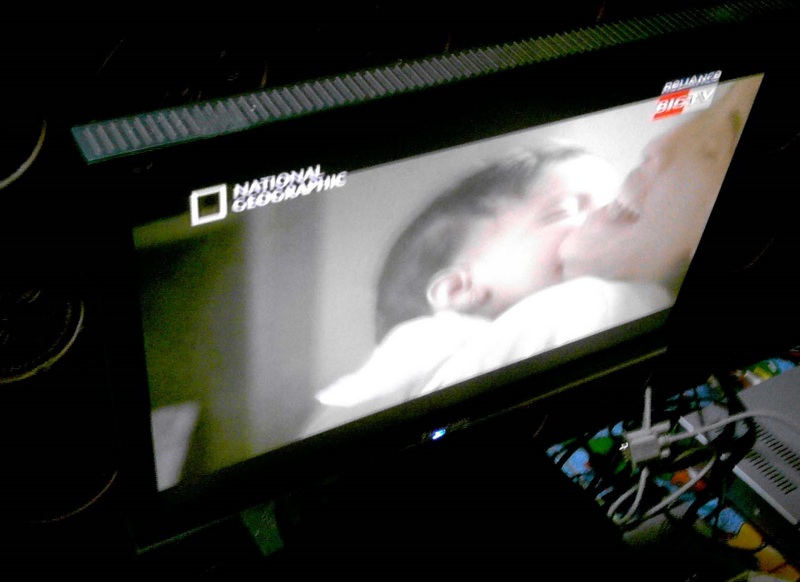 My philips dvd player and the tv team up and delivers near theatre experience. Two A/V Ports, RGB connection, Mic out etc and other standard things. • NO HDMI. How will you view HD Video without HDMI? • TV is HD Ready ..IT Is not FullHD. • Speakers are normal quality only. • When mounted on wall,it becomes difficult to plug the PC Cable. So you should have a dedicated PC Video Cable. I use a SUNDIRECT DTH Service to power the Panasonic Viera. 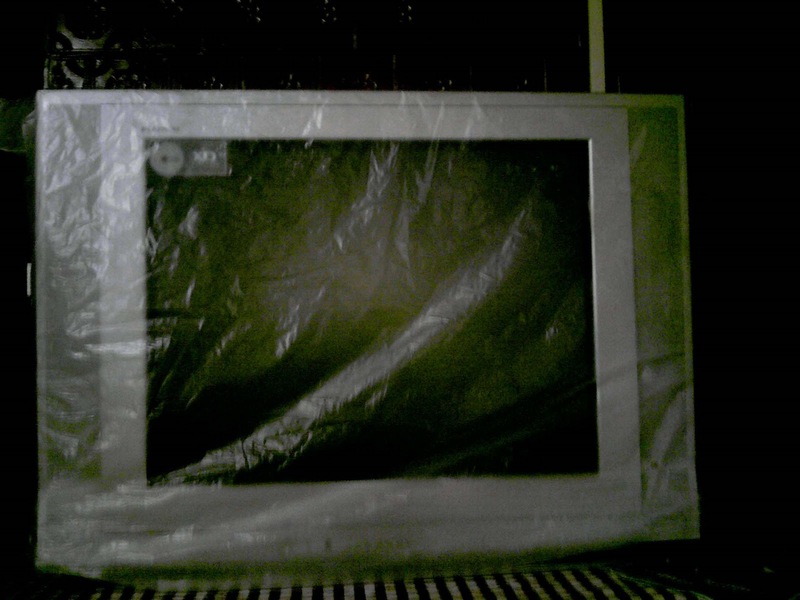 My old LG 29 inch LCD TV was bought in 2007 for Rs 14500.It was a good TV having subwoofers in it. The Panasonic Viera will be replacing the LG TV. After couple of days a technician from Panasonic came and disassembled the mounting stand and mounted it on the Wall. He missed to tweak and adjust the brightness, sharpness and other calibration settings. Since I was using Pinnacle PCTV on my Athlon XP PC during my college days.I had something in my mind positive about TV Tuner Cards. It was an internal TV Tuner Card.I could watch TV on my PC clearly and even record video in MPEG !, MPEG2 formats.So when I was thinking of a small LCD TV in my office room, I think I could do it by integrating an LCD Monitor and an External TV Tuner Card.Back in 2008, LCD TVs were costly.A 19 inch LCD TV was selling at Rs 15000.So I bought a Viewsonic 17 inch TFT LCD monitor and a LUMAX External TV Tuner Box for LCD. I don’t remember the exact cost. I had a LABTECH USA 2003 model 2.1 speaker system for the lively sound. It was lying there vacant after my Athlon XP PC went bad. So Total Cost of the LCD Monitor TV was Rs 9500.Now I feel it was a bad idea. Because a TV is a TV and such emulations will always lack some perfection. Lot of wires make it a mess. 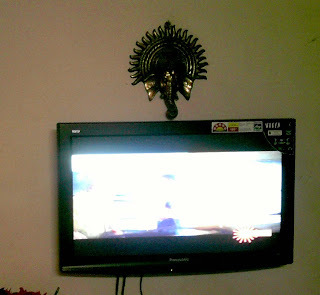 I use a Reliance Big TV DTH connection to power the TV.It is still working fine in the third year but looks definitely bad in my room .I am watching news using this TV while working online.